IGNOU MPhil Ph.D. 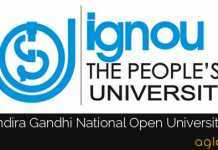 Admission 2019 – Indira Gandhi National Open University (IGNOU) has issued the admit card for IGNOU MPhil Ph.D. entrance exam 2019. It has been released online at cgvyapam.choice.gov.in. The Selection for admission to M.Phil /PhD courses is strictly on merit, based on performance in the Entrance Test and Interview and selected applicant will be overseen by the IGNOU Ordinance. The entrance exam is scheduled to be conducted on April 07, 2019. From this article, you can check the information about IGNOU MPhil PhD Admission 2019 for the session of July 2019. 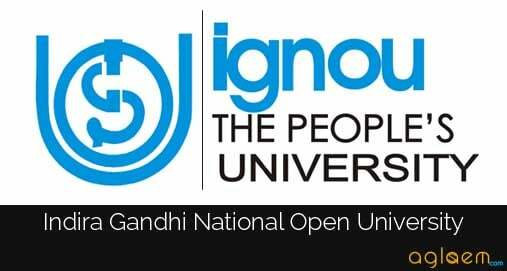 Latest: Admit Card for IGNOU MPhil PhD Entrance Exam 2019 has been released. Download from the link below. Candidates seeking admission into said courses have to fill their application in online mode through official web portal of Indira Gandhi Open University. All the relevant details of IGNOU MPhil Ph.D. Admission 2019 like application process, eligibility criteria and other information given on this page below. Schedule for the IGNOU MPhil Ph.D. Admission 2019 is given below. Indira Gandhi National Open University (IGNOU) has released the hall ticket for MPhil / Ph.D. exam. Candidates can download their admit card from the official website. Candidates are required to download and print the same to appear in the Entrance Test. The link to download the hall ticket will be provided on this page. Click Here to download the IGNOU MPhil / PhD 2019 Admit Card. Indira Gandhi National Open University will release the result of Entrance Test for the session July 2019 in various disciplines. The said examination will be conducted on March 25, 2019, in various cities. The exam conducting body has released the tentative date for a declaration of result which is given above in the schedule table. Candidates can check their result from the link which will be given below. Short-listed Candidates in the Entrance Test will be called for interview/presentation of Synopsis before the Discipline specific Doctoral Research Committee. Offer letters for admission will be sent to the Selected Candidates only. Candidates can check the lists from the official website OR through the links which will be provided below. The Entrance Test will be conducted by the University at National Level. The list of candidates who to appear for the Entrance Test will be displayed on the website. No separate communication shall be sent to candidates in this regard. Hall Tickets enabling the candidates to take the Entrance Test will also be displayed on the IGNOU website. You have to download and print the same to appear in the Entrance Test. Candidates are required to bring with them an original identity proof having a photograph, such as Aadhar Card, Voter ID Card, Driving License, Passport and ID Card issued by Govt. Agencies. Those who secure at least 50% marks in the entrance test (45% marks in case of SC/ST/OBC (Non Creamy layers)/PH) will be shortlisted for the interview in order of merit subject to the maximum limit of five times of the available seats. Short-listed Candidates in the Entrance Test will be called for interview/presentation of Synopsis before the Discipline specific Doctoral Research Committee. Offer letters for admission will be sent to the Selected Candidates only. The Application Form for M.Phil and PhD courses have to fill online from the official website i.e., https://onlineadmission.ignou.ac.in/entrancersunit/ or from the direct link which has been provided below. Candidates are advised to must read all the details before filling the application form. 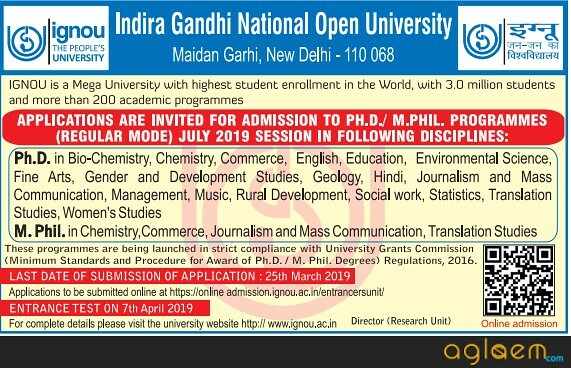 Apply Online: Click here to apply online for the IGNOU MPhil PhD Admission 2019. Application fee: Candidates have to pay the application fee of Rs. 1,000/- which is non-refundable under any circumstances. Below we mentioned the eligibility criteria for admission to M.Phil and PhD programmes for session 2019. Master’s Degree from a University recognized by UGC in the relevant discipline with at least 55% marks [50% marks in the case of SC,ST and OBC(Non-creamy Layer)/ Differently-Abled and other categories of candidates as per the decision of UGC from time to time, or for those who had obtained their Master’s Degree prior to 19th September, 1991] excluding grace marks. For detailed discipline-specific eligibility criteria, please see Appendix II in the Information Brochure which is attached below. Master’s Degree from a University recognized by UGC in the relevant discipline with atleast 55% marks [50%marks in the case of SC,ST and OBC(Non-creamy Layer)/Differently-Abled and other categories of candidates as per the decision of UGC from time to time, or for those who had obtained their Master’s Degree prior to19th September, 1991]. Question. Is it compulsory to register myself before submitting an Application Form online? Answer. Yes, it is compulsory to register with our Online System (https://onlineadmission.ignou.ac.in/entrancersunit/) before you can submit your Application Form online. Question. 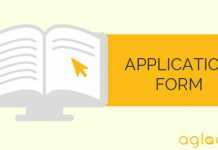 What is the detailed process for submission of online Application Form? Question. Is it mandatory to upload/attach a photograph and signature while submitting the form online? Answer. Yes, it is mandatory to upload the photograph and signature of the desired size. For more information about IGNOU MPhil Ph.D Admission 2019 July session – Download Information Brochure.